Hi, my name is Jack Longman, and once upon a time, I was obsessed with the Power Rangers. Being a child in the ‘90s, like Pokémon, Power Rangers was everywhere from shops selling licensed toys to classrooms with my classmates squabbling over who gets to be Tommy during break time. If you didn’t like it, the other kids didn’t like you and you’re no longer welcome to their birthday parties. As I got older, maturity set in and I’m pleased to say I was rather successful in growing out of Power Rangers, until I spent the last week playing Power Rangers: Battle for the Grid. Still, during the period of time I had moved on from Power Rangers, the series became a global franchise and went on to entertain millions of kids. Since the debut of Mighty Morphin’ Power Rangers, back in 1993, Power Rangers is a franchise that has managed to span multiple series of the TV show, introduce players to various Power Ranger teams, was reported in 2010 to have generated more than $6 billion USD in toy sales. It’s also had a number of video games released and both comic books published. Quite simply, Power Rangers is a franchise with a ton of staying power and popularity, despite the fact it should have died off about a decade ago. 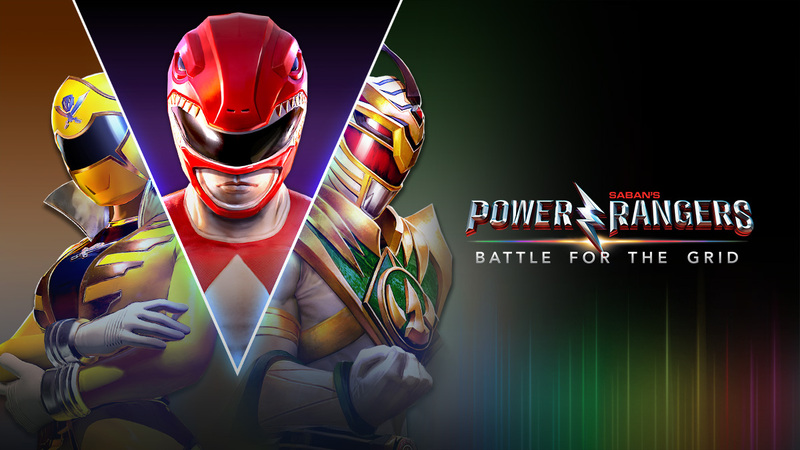 Since the series does continue to be alive and well, thanks to developer nWay, who are behind 2017’s Power Rangers: Legacy Wars, for mobile devices, we now have Power Rangers: Battle for the Grid. Developed as a fighting game, Battle for the Grid behaves quite similar to DRAGON BALL FighterZ, in the sense that battles consist of each player taking three characters into battle on a single plane, and can switch between them at any point. The problem with taking three characters though, is the fact that the game, in its base state, only has nine characters and I wouldn’t exactly call it a wholesome selection. Okay sure, we have Jason Lee Scott in red and Tommy Oliver in green, but the rest of the roster feels a tad too underwhelming, especially when you remember the fact that Lord Drakkon (one of the nine characters,) is an evil version of Tommy Oliver. Unlike Super Smash Bros. Ultimate where “Everyone is here!” that’s not the case for Battle for the Grid, not yet anyway. As previously revealed, the game will feature paid DLC that adds new characters, but there will also be free characters arriving as well, in the form of Dragon Armor Trini, Urdonna and Cenozoic Ranger. So, even though we have nine characters available now, there is another six on their way. As you would expect, each character, including the playable villains, do have a series of moves representing their fighting style, as seen in the TV shows and they also come equipped with their signature weapons. Ultimately though, regardless of how combo your light attacks (Y) with medium attacks (X) and heavy attacks (A,) your moves on the battle field will not resemble your favourite rangers move for move. Saying that, the throws are fun to see, assist moves (L & R) are handy and the special moves (B) are decent. They’re not the only moves you can pull off though, since there are also special attacks, EX special attacks per each character and swap strikes. The handiest button press of them all however is when you press ZL and ZR together. Doing so will prompt an Ultra Attack, which is essentially a Megazord coming to your aid and dealing damage to an enemy for a set amount of time, and you can only use it once. To make matters worse, there are only three Ultras available in-game with one being the Dino Megazord, one is Mega Goldar and the other one being Dragonzord. Back to the actual fighting though, it is a case of each fighter you’ve selected having their own life bar and once all three health bars are depleted, the fight is over. During arcade mode however, enemies can have multiple life bars and if you lose, you can try the match again. Time to talk about the true negative with Power Rangers: Battle for the Grid though. You see, there are two versions of the game, with being the standard release priced at $19.99, which comes with 120 collectible banners, thee Ultras, a total of six modes across online and offline and five arenas. Furthermore, out of the Season One Pass content, you will only get the Red Dragon Shield skin for Jason Lee Scott, from the outset. The new characters will come at a later date and if you purchase Season One Pass on its own, is $14.99. Should you be able to look past that and still feel like giving the game a chance, if the arcade mode is not to your liking, you can always do versus against a friend, do some training to get better at the game or try your luck online. If you opt for casual, you can play against players across the globe and play for fun, as winning or losing, doesn’t really make too much of a difference, whereas losing a Ranked Mode match can cause you to lose League Points. An aspect of the game that I do regard as a highlight though (other than the banners of course,) is the profile option. For the players who really want to give Battle for the Grid their all, profile keeps track of everything you do online. It’s a little odd that your offline play isn’t counted, but if you’re the sort who wants to know how many times you’ve used a specific character, use a certain move, or just keep a track of how much time you’ve spent playing online, Profile has you covered. Still, despite the popularity of the franchise, nostalgia will only get you so far and with so little content currently available, it would be fair to say that Battle for the Grid is currently an underwhelming title, but despite its faults, the game does seem to maintain its 60fps framerate across handheld and docked gameplay and that is certainly a win. Oh and the same can be said for the visuals as well. Power Rangers: Battle for the Grid is not best Power Rangers game out there. The gameplay and performance are on point, but it is lacking in content, yet nWay’s commitment to improving it, is commendable. Patches are going to be implemented to fix existing issues, more characters are going to be made available as part of free DLC and the paid Season Pass and nWay are being very vocal with listening to player feedback. nWay are listening and they do want to make Power Rangers: Battle for the Grid a Power Rangers game anyway can enjoy, so just because it’s a decent game in its current state, in time it could become a great one.